UPDATED: NELSON FUNDRAISING OFF OF HURRICANE --- As Gov. Scott dealt with the hurricane emergency, Bill Nelson played politics. On Thursday after the devastation of Hurricane Michael, Senator Nelson posted a link to help people impacted by #HurricaneMichael. 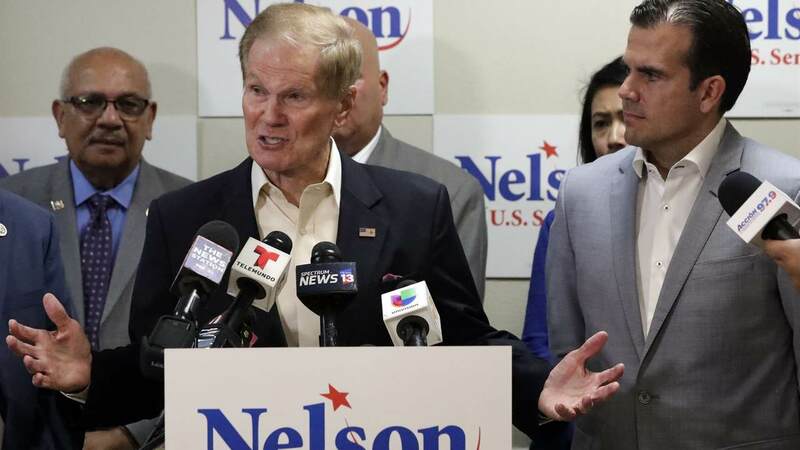 Bill Nelson has been playing politics for the last 46 years. With Election Day less than 30 days away, the polls gridlocked, and a major hurricane slamming into the state, Nelson thought it would be best to not only run attack ads as Gov. Scott prepared the state’s panhandle for its worst hurricane strike ever. They even sent a tracker to his emergency briefing because…he was going to take the opportunity to attack Nelson? Because he might slip up and then use that as fodder in a campaign, where property and people’s lives could be lost? Democrats will go low to win. We saw that with the recent Supreme Court battle. I would say Scott should do the same, but his handling of Hurricanes Irma and Maria were excellent and boosted his popularity. Also, as governor, he can’t really dabble in this nonsense given the office and the responsibility when facing a major storm. If he does manage this natural disaster well, and he should, then the political dividends he would reap should be significant, coupled with the Nelson campaign looking like a bunch of craven fools. Here's an Idea .. Let's Get to Work for Florida.